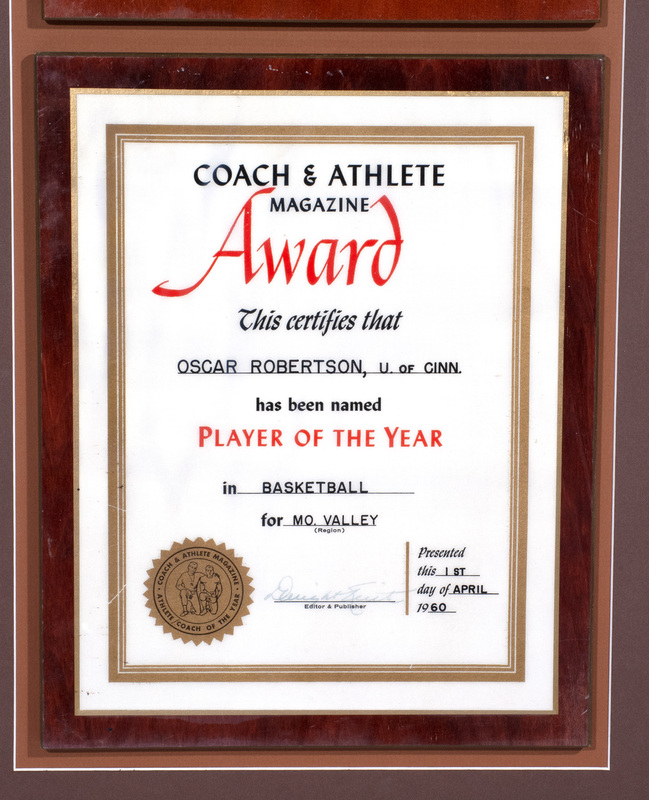 By Oscar Robertson’s senior year it was obvious the 6' 5" point guard had the type of talent that came along once in a generation. In three varsity seasons with UC, “The Big O” single-handedly rewrote the Bearcats’ record book, led his team to a pair of Final Four appearances and put University of Cincinnati basketball on the map. 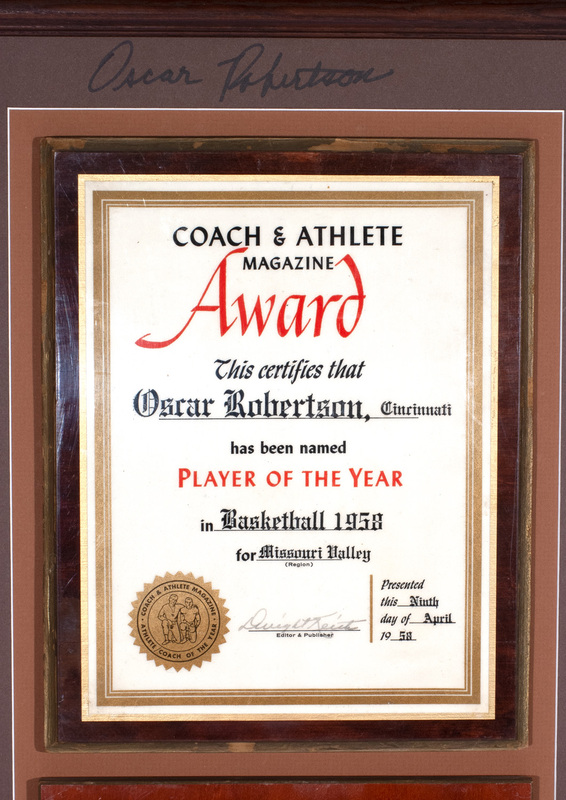 The crowning achievement of Robertson’s collegiate career was being named Consensus First Team All-America as well as winning pretty much every College Basketball Player of the Year award for the third straight season. 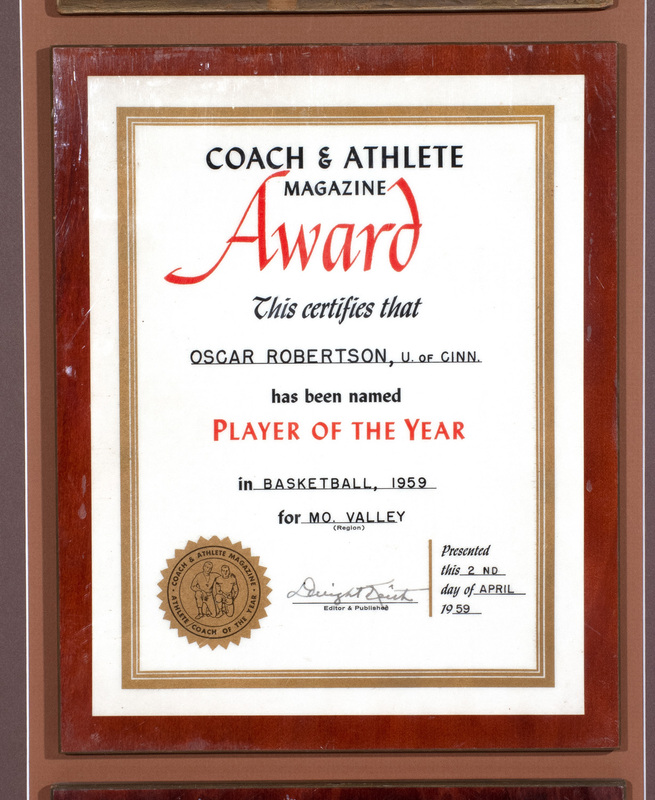 One of these was by Coach & Athlete Magazine, which named Oscar its Player of the Year in 1958, 1959 and 1960. 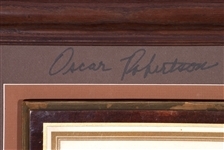 Offered here is all three award plaques mounted together in an impressive 18" by 46" framed display that was up on Oscar's wall in his home for decades. Each certificate includes the year issued and the date it was presented to Robertson, with the magazine editor's laminated signature. For good measure, The Big O has autographed the browm matte at the top of the display in bold black marker. The lovely framed piece shows light wear and aging. Includes LOA from Oscar Robertson.